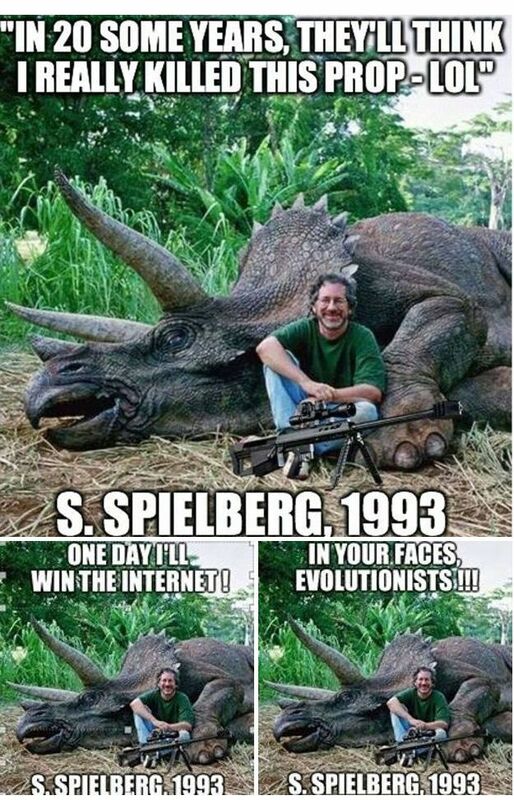 Steven Spielberg has the internet up in arms after his controversial photo with that shows him after he shot some big game. Dont bet on it. Thats the mentality of humanity in this day and age. 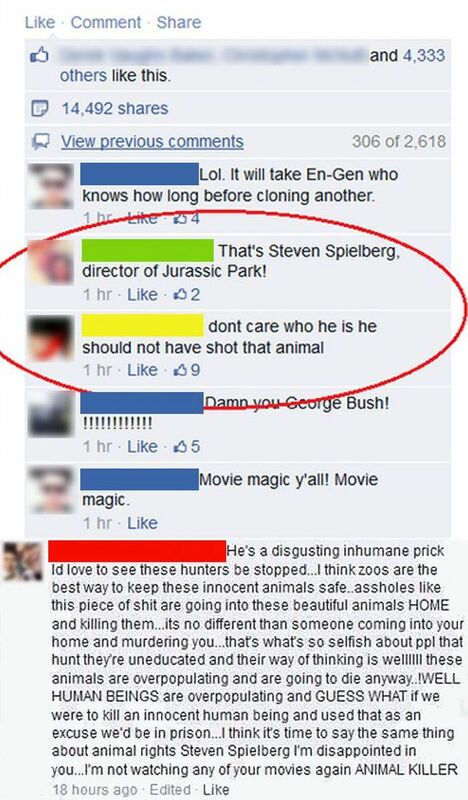 "Steven Spielberg has a bunch of uneducated idiots up in arms after his controversial photo that shows him after he shot some big game." The guy who post this at first time is a man who hate american mentality ! (he is american too) and he is a big troller !!! 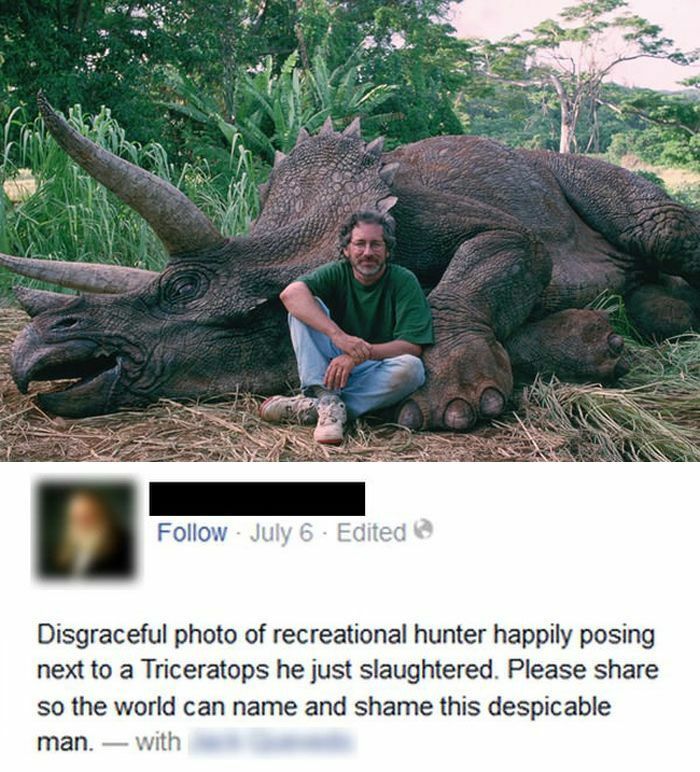 Gyselinck, I'm pretty sure AcidCow knows Triceratops are extint dude..
C'mon now, we need those people to give us a good laugh. Let them be. BTW, did he use a bow? ACfan, I think you just found the troller!